For information regarding delivery outside Sydney please refer to notes below. 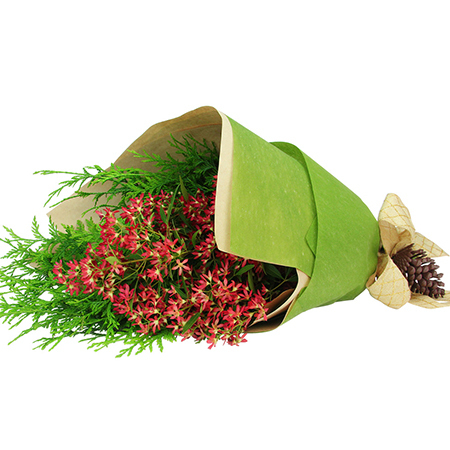 Our iconic Australian Christmas bush flower bouquets are great value! Featuring 3 stems of scarlett native Christmas bush offset by fresh green pine for only $49.95, this festive posy is just the thing to celebrate an Aussie-style Christmas. Gift wrapped by our talented florist team with pure Christmas flair, you can arrange delivery Sydney-wide for a flat fee of only $14.95 (right up until Monday 24 December!). This bouquet is perfect on its own, or even teamed with a bottle of bubbly or `Merry Xmas` chocolate from our range of small gift add ons. Order your flowers for Christmas via this online store, give our helpful consultants a call toll free on 1800 66 66 46 or email sales@flowersforeveryone.com.au with any questions you may have. 2018-12-30 Delivered on time, beautiful flowers, notified when delivered.